Saint-Nazaire, France, 31 May 2017 – Today at the MSC Meraviglia Flag Ceremony, where MSC Cruises took delivery of the latest next-generation cruise ship built by STX France, the two companies signed a new memorandum of understanding firming up the order of two 200,000 GRT, LNG-powered mega cruise ships, with options for two additional vessels. 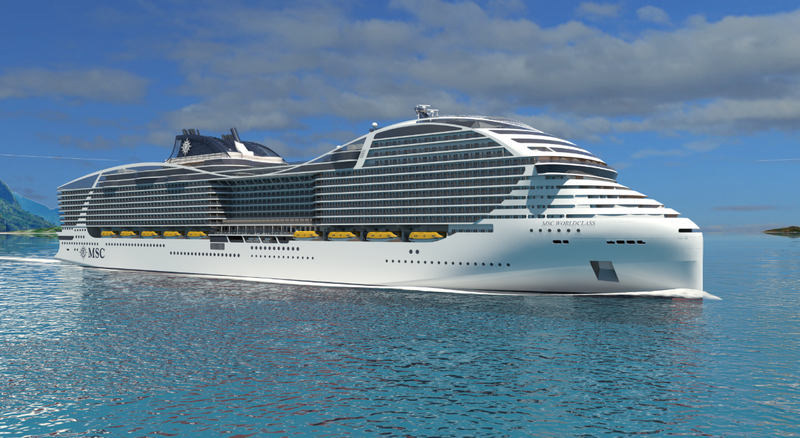 The four ships will become MSC Cruises’ World Class. The signing took place in the presence of Mr Emmanuel Macron, President of the French Republic, and Bruno Le Maire, Minister of the Economy. MSC Cruises is the number one cruise line in Europe, South America and South Africa, and sails year-round in the Mediterranean and the Caribbean. Seasonal itineraries cover northern Europe, the Atlantic Ocean, Cuba and the French Antilles, South America, southern Africa, and Abu Dhabi, Dubai and Sir Bani Yas.In 2014, MSC Cruises launched an investment plan to support the second phase of its growth through the order of two ships of the Meraviglia Class and two others of the Seaside Class (plus an option for a third one) and in February 2016, confirmed the existing options to build a further two now Meraviglia-Plus Class ships with an even greater capacity. In April 2016 this rose to €9 billion with the announcement of signing of the slot reservation agreement to build a further four ships, each with next-generation LNG propulsion technology. 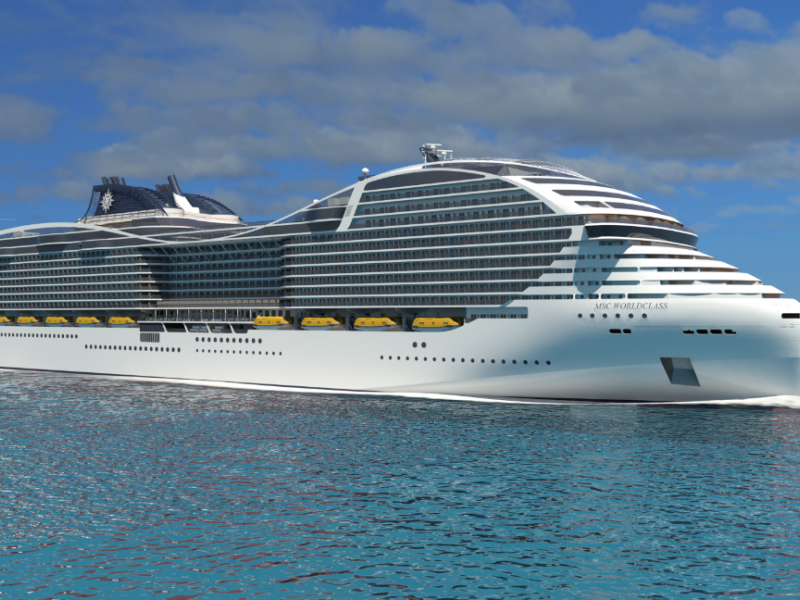 MSC Cruises is the first global cruise line brand to develop an investment plan of this length and magnitude, that between 2017 and 2020 will have already delivered six new cruise ships.The MSC Cruise experience embodies the elegant side of the Mediterranean to create unique and unforgettable emotions for guests, through discovery of the world’s cultures, beauties and tastes. Its fleet comprises 13 modern ships: MSC Meraviglia, MSC Preziosa; MSC Divina; MSC Splendida; MSC Fantasia; MSC Magnifica; MSC Poesia; MSC Orchestra; MSC Musica; MSC Sinfonia; MSC Armonia; MSC Opera and MSC Lirica.MSC Cruises feels a deep responsibility for the environments in which it operates, and was the first company ever to earn the Bureau Veritas "7 Golden Pearls" for superior management and environmental stewardship. In 2009, MSC Cruises began an enduring partnership with UNICEF to support various programmes assisting children worldwide. So far, more than €6.5 million has been collected in voluntary guest donations.